We hope you enjoy today’s blog, and share it with your friends on Facebook and Twitter by clicking the icons above! 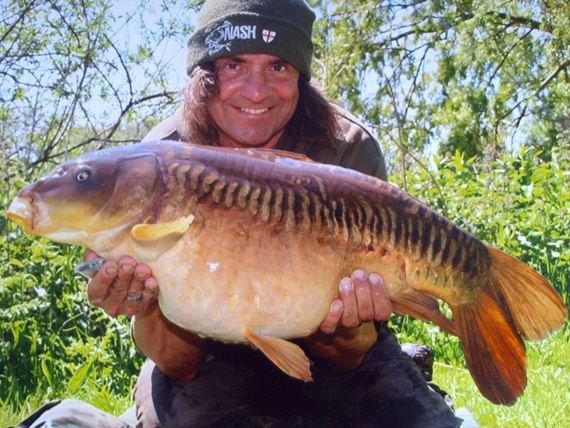 Follow Julian Cundiff’s tips below to catch big! Well, being totally honest, all waters are different BUT what I can say with a degree of certainty from watching others is that it seems that too much bait is put in on arrival and not enough when actually fishing. 1. Research is everything ! Although I do trust my own judgement I do keep my ear to the ground when it comes to how a water is fishing and most importantly what is and isn’t working. No point turning up and finding that maggots, particles, zigs etc are working and not having them with you. 2. One bite at a time! Whatever swim you decide to set up in the golden rule is to fish for one bite at a time, one fish at a time. The temptation can be to put in bait. But to what effect? Is that going to make them feed? Or will it mean your chances of them locating the hookbait are even less? If I find fish I tend to fish a single bait be it on the bottom, a pop up or maybe a Zig Bug. The most I would use is maybe some Chain Reaction on the hooklength. If I don’t get a pickup fairly quickly I sometimes add a few Soluballs to the area maybe with a light coating of Food Dip. The Monster Squid is spot on for this…. 3. Topping up. If I have had a fish AND believe it’s an area the carp will return to I will top up the swim with some Soluballs and a handful at most of chopped boilies. However I keep it light rather than heavy…Occasionally I will wind in and go looking for signs of fish (clouded water etc) and repeat step 2…. So there you have my guide. 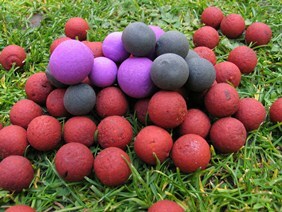 For me it’s Nash Bait’s Monster Squid Red boilies, pellets and Soluballs….